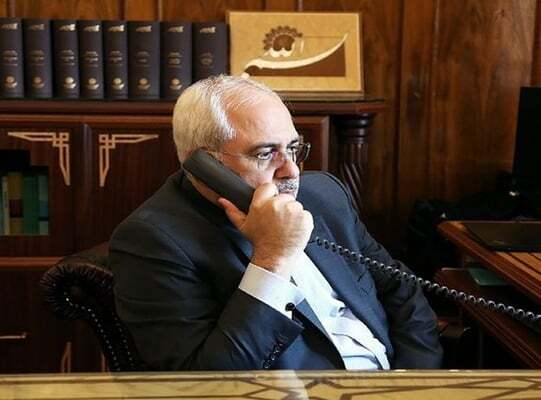 Iran’s Foreign Minister Mohammad Javad Zarif has held phone conversations with EU Foreign Policy Chief Federica Mogherini and his opposite numbers from Germany, Sweden and Denmark. During his Friday night conversations with Mogherini as well as Heiko Maas of Germany, Margot Wallstrom of Sweden, and Denmark’s Anders Samuelsen, the top Iranian diplomat discussed with them Washington’s re-imposition of sanctions against Iran and Europe’s efforts to counter such US moves. Mogherini and the three European foreign ministers once again reiterated their commitment to the Iran nuclear deal, to making efforts to maintain channels for financial transactions with Iran, and to maintaining Iran’s oil and gas exports. They also underlined the importance of European finance ministers’ obligation to enforce a special financial mechanism, announcing the mechanism will be officially registered and put into effect in the coming days. In the phone conversation between Zarif and his Danish counterpart, the two sides exchanged views on a recent anti-Iran claim by the Danish police with regards to a terrorist operation in Denmark. Zarif rejected the baseless allegation, and touched upon attempts by the Israeli regime to deal a blow to relations between Iran and European countries and scuttle Europe’s initiative to preserve the Iran nuclear deal. Zarif also said Tehran stands ready to work with Danish security authorities to shed light on the conspiracy and reveal the reality. Meanwhile, Zarif reminded his opposite number of the Danish government’s responsibility to hunt for and apprehend members of the terrorist group who confessed to being involved in a recent terror attack in the Iranian city of Ahvaz. Zarif also dismissed as unacceptable the Danish government’s support for the terrorists despite the fact that they have openly claimed responsibility for the Ahvaz incident. The Danish foreign minister, in turn, once again reiterated his country’s backing for the JCPOA and support for Europe’s financial mechanism to continue economic cooperation with Iran.